Could this be what you’ve been looking for? A procedure that can temporarily smooth those moderate to severe lines with no surgery and no down time. One 10-minute treatment and within days there’s a noticeable improvement in moderate to severe frown lines between the eyebrows, forehead, crow’s feet, and brow lift which can last up to 4 months. It is virtually a painless procedure, similar to tweezing eyebrows. Unlike surgery, these muscle relaxers are fast, simple and minimally invasive with no downtime or recovery. Most people return directly to work or normal activity following treatment. It’s not magic. It’s medicine, the result of years of careful research and testing. This cosmetic product is the only one of its type with more than 10 years of success in treating patients with a variety of conditions including Hyperhidrosis (sweating palms and underarms) and migraines. 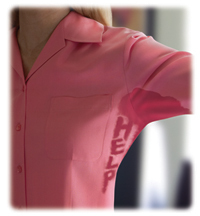 Does muscle relaxers work for excessive underarm sweating? If you are wanting to wear silky, lacy, white, or tight clothing – but you are afraid to because of excess underarm sweat then this may be the answer. It works on excessive sweating in other areas too. You can earn points for your purchases and you will be able to redeem your points for coupons. Check out Aspire Rewards and Brilliant Distinctions and get registered today.